DBP MAGAZINE ONLINE's THROWBACK THURSDAY PRESENTS: Spotlight on Dirtbaggin' ~ Giving Thanks. 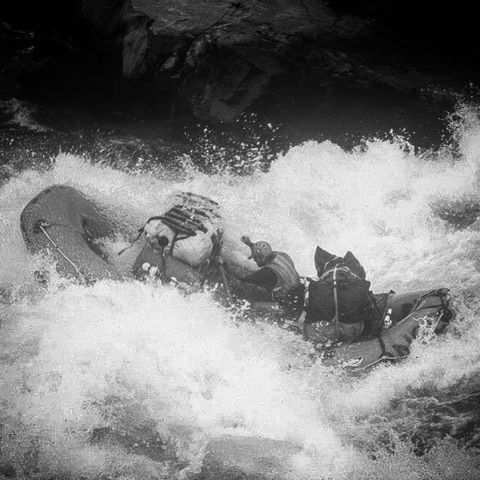 by Taz Riggs | DBP MAGAZINE ONLINE The World's Best Free Whitewater Publication. 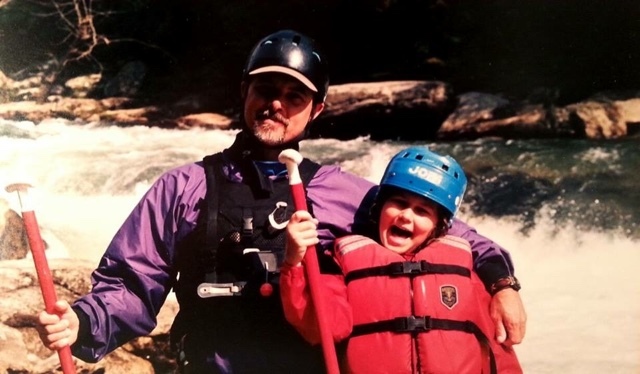 In this season of thanksgiving, veteran river guide and Associate Editor Taz Riggs reflects on the many things he is thankful for in the business of commercial whitewater rafting. Yes, I am thankful for a lot of things. The river lifestyle that I adopted 35 years ago might very well have saved my life. I’m glad that I didn’t stay in the environment that I was in, and I try not to think of what the alternative might have looked like. The people that I have worked with have come from many other places and backgrounds, have shared and encouraged me all along the way. The community of river people have enriched my life in many ways that I can’t begin to describe. For all the laughs and love you have shown me, I am grateful to call you all family. As for the rivers, they are so much more than the water and the rapids. The forests and the wildlife are a part of it too. Too often, we ignore how rivers have shaped our lives throughout history. Being one with a river has taken my heart and soul back to the people who preceded us, not just in river recreation, but in the indigenous people of the places we visit, the explorers, the settlers, yes, and even the exploiters of the resources that were made available to us. I have a greater understanding of the world at large and the people in it, thanks to the river itself. The companies and their owners have given me the opportunity to work at something meaningful to me. They have risked their fortunes and those of others so that I can do what I enjoy. Their risk has been as great as my own and I have always known this. Sometimes it’s just a matter of perspective, but I want them to know, that even from down here, I am with them. We have a symbiotic relationship; I believe that what is good for them, should be good for me. The opposite is the same. More than all these people and things, I have matured to the point that I realize who is responsible for it all. This is my opportunity to thank them, the ones who really make it all possible for me. If I am able to open the eyes of other guides, the owners and managers of the companies to this fact, that would be fine. But in this case, I want to be sure that the ones who make it all happen get the credit they are due. Without a thought of it anymore, I easily refer to them as “my people”. Some, though few, have returned to the river, so impressed with what they had experienced, they became river guides. What could be a better watermark for our success as guides. 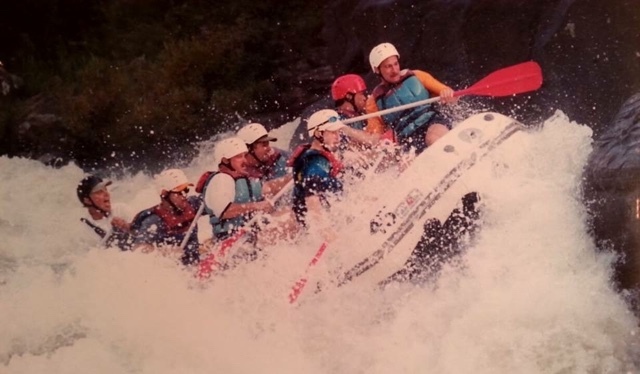 Long ago I took notice of the cost of a rafting trip for a family of five. Maybe for some it’s not all that expensive, but for the majority of the general population, that we never see, the cost is out of the question. After all, I came to the sport as a pastime, a hobbyist if you will. If I was going to up my game and go for more and bigger rivers, I knew I would have to do it from the inside. I’m a little embarrassed when I hear someone say, “If they can’t afford it, then maybe they shouldn’t be here.” They have no idea that they are talking about me too. I came to do it as a guide because I couldn’t afford to do it as a guest. I will admit that gratuities are a good portion of my income. I came from a time when to say so was frowned on. Times have changed, but my attitude has not. If they choose to tip, that’s great; if they don’t, that’s not a reflection on me. Some folks will moan and ache that they will be taking a church group, camp or Boy Scout troop. They have an attitude that informs them that everyone who goes down the river with them owes them. Not so. Don’t let your prejudice get in the way of giving your best, I think you will be surprised. Often the rewards are greater than money. I took a church group this past summer. In my raft was a young and somewhat robust kid about 15 or 16. It was obvious that he had some sort of disability. The rest of the group wanted to tell me of his needs. They did so in his presence as if he wasn’t even there. I turned away from them and asked him directly, “you will tell me what I need to know, won’t you?” He agreed to. That kid was strong, he listened to every word I said and performed like a champ. He had so many intelligent questions, and I had the answers that he wanted. As the other kids in the boat chattered and giggled, we carried on conversation. It’s not as though I was playing to his need for attention, it was just the other way around. He was an awesome paddler, never needed correction and was a sponge for anything I had to share. I can never ask for more from my people. At the end of the day, after the photo show, all the kids were buying sodas, snacks and some got souvenirs. He came to me and offered his thanks and a handshake. There was something in the firm grip that he gave me, and as is my custom, with a slight of hand I slipped it into my pocket and told him to make sure I was his guide should he return. I didn’t check to see what was in my pocket for some time. I didn’t expect anything at all and was glad that he was chosen to deliver for the group. When I checked, I realized it wasn’t from the group, it was a five dollar bill. What the others had spent on candy and cokes, he gave to me. I was humbled and wrote his name in my log book. I really do hope he comes back. I will remember, and the photos are on me. Some things don’t deserve a price tag. All kinds of people come rafting. Some are strong, some are not. Some are healthy, some have disabilities. I’ve taken many paraplegic and at least one quadriplegic. I’ve taken all kinds of disabled people; school for the deaf, summer after summer, I’ve had blind folks and combinations that would boggle your mind. They all get to go, and should. I’m always ready to give it a go as long as they understand the risks and that I will do my best, but can’t make guarantees. As I often point out, this is a sport, not a ride. I am only human. 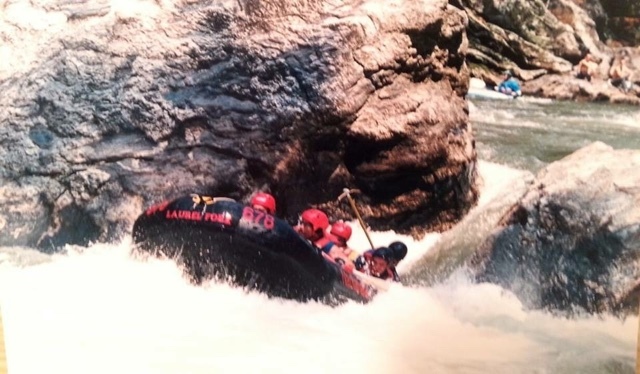 I was cursed if you will – in my first year of guiding I was taught: “there is no such thing as a bad crew, only a bad guide.” Curses I say; because of this, I practice patience and make every effort to ensure them a good run. They didn’t come here with the skills that I worked hard to acquire, but that doesn’t mean that they can’t learn from me. These are the people who hire me. These are the people who pay my wages. They sometimes help me to feel like some kind of hero. They remind me of what I have, and that it is mine to share.